This London Design Festival, spatial laboratory Loop.pH will invite visitors to pilot an airship using the power and focus of their minds inside the museum’s atrium. Free tickets to pilot the airship are available from Tuesday 18 September on a first come, first served basis at the booth on the mezzanine. Slots are limited to two 30-minute sessions per hour, with one visitor per session. 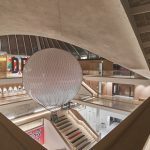 During London Design Festival 2018, spatial laboratory Loop.pH will animate the Design Museum atrium with a spectacular installation titled Mind Pilot. The interactive installation will allow you to pilot a helium filled airship through the power of your mind. Mind Pilot will encourage the idea of an inclusive future where people with varying physical abilities can use technology such as mind power to experience and operate flight. The lightweight, airship will be operated and able to fly in multiple directions within a tethered framework. The pilot wears a virtual reality headset that stimulates the sense of being in flight, and a device that measures brain waves and sends signals that navigate the balloon through the space. If you’d like to pilot the airship, free tickets are available on a first come, first served basis at the booth on the mezzanine. 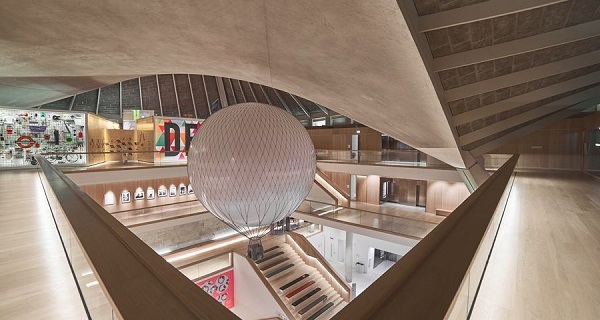 This entry was posted in Balloons, Exhibitions and tagged balloons, helium balloon, London Live, loop.ph, Mind Pilot, The Design Museum. Bookmark the permalink.